The amount of money given to this project was very modest to supplement the purchase of some DVDs and to provide high quality booklet resources for student’s materials for the course. 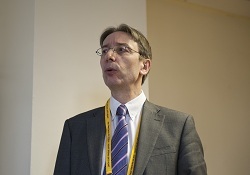 Neil Cully, deputy head of Notre Dame School, Norwich led, for his school, the introduction of ‘Mindfulness in schools’. It offers students opportunities to learn how to choose the way one thinks, feels and acts when faced with situations that cause stress, anxiety and depression. The aim of the project was to introduce the Year 11 students to the principles of mindfulness. The course uses meditation to develop and sustain attention and concentration in order to focus on the present in a non-judgemental way. The first lesson focuses on how we can direct our mind and develop concentration. The second explores how we can calm our mind through breathing exercises. The third helps us to recognise how our minds can cause us to worry and what we can do to resist this. In the fourth lesson we will learn how to appreciate more the present moment rather than regularly worrying about the past and future. In the fifth lesson we get the opportunity to move in mindful ways. The final lessons enable us to realise that thoughts are not facts, to recognise what causes stress in us and how we can learn to manage that stress and finally how we can apply the things we have learned through this course to our everyday lives. Firstly, we will begin mindfulness with the next cohort from September rather than January as we did first time round. The course runs over nine lessons (one per fortnight). There are inevitable interruptions to lessons, especially when a course is spread over almost one-and-a-half terms. So starting in September allows the scope to make sure that all groups complete the course. Secondly, we found the pace of the lessons was a little too slow. They were designed for lessons of 40 minutes duration rather than the hour, which we have. To overcome this discrepancy we are planning to either include more time for pupil-focused activities, or include some of the study skills course, which is normally delivered separately, into these lessons.